In this inspired and riveting read, distinguished journalist Edward Bliss Jr. - the son of this original Peace Corpsman - tells the remarkable story of a courageous pioneer who selflessly risked his life to serve others. With the refreshing intimacy of a memoir and based in large part on letters Bliss wrote home, this book takes us back to the nineteenth and early twentieth centuries, which saw an outpouring of missionaries to Asia, Africa, and the Middle East. 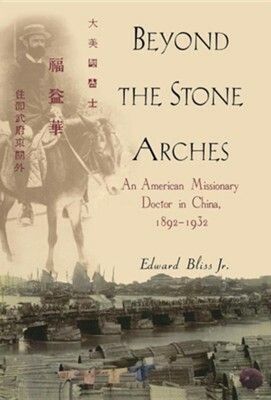 I'm the author/artist and I want to review Beyond the Stone Arches: An American Missionary Doctor in China, 1892-1932.